Cold weather is here and Thanksgiving is just around the corner…And boy do I have the PERFECT recipe for you! 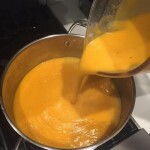 This Butternut Squash soup recipe is SOOOO good!!!!! you can do for your body. Next, Butternut Squash is low in fat and delivers an ample dose of dietary fiber, making it an exceptionally heart-friendly choice. It provides significant amounts of potassium, important for bone health, and vitamin B6, essential for the proper functioning of both the nervous and immune systems. This is also an incredibly economical meal. 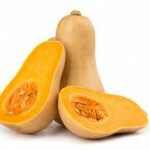 Typically, 1 large organic butternut squash costs $1.99. The other minimal ingredients are also low cost (under $10 total). 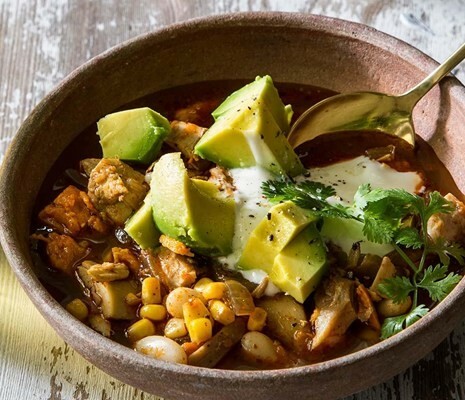 This is a hearty meal you can make for your entire family or to last throughout the week! This specific recipe yields enough servings to last you at least 8-10 meals (depending on serving size). There are many recipes out there, but this one is my Balanced Beauty approved spin and favorite…Try this as a festive appetizer or aka: Dairy Free/Gluten-Free meal option this Holiday season! 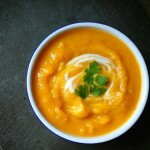 In large pot, cook onion, celery, carrot, potatoes, squash and olive oil for 5 minutes or until lightly browned. Pour in enough of the chicken stock to cover the vegetables. Bring to a boil. 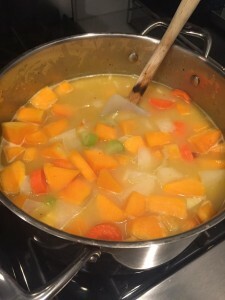 Reduce heat to low, cover pot, and simmer for 40 minutes or until all vegetables are tender. Return to pot and mix in any remaining chicken stock to attain desired consistency. 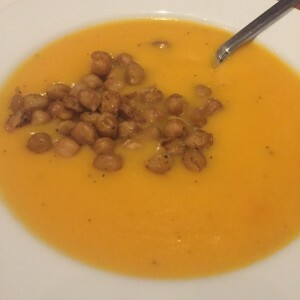 Instead of filling up on bread or croutons, opt for Roasted Chickpeas! 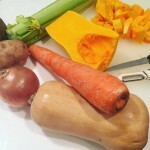 These make a great side dish or garnish that compliment the soup nicely. They also add additional fiber and protein. While the soup is simmering, heat your oven to 400 degrees. Mix in bowl with olive oil and seasonings of choice. For simple seasoning, opt for salt and pepper or for Indian spice example, add in spices like cumin, paprika, curry powder. The options are endless…Mix in what you like! 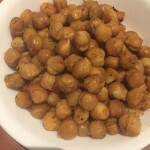 *Roasted Chickpeas are a perfect garnish/crouton substitute and snack that will not sabotage your diet. They are also inexpensive, easy to make, and can be stored in your refrigerator to munch on throughout the week!…Ditch the potato chips and make this a Balanced Beauty snack staple!